Wireless power, energy harvesting or wireless communication – these are fields in which Würth Elektronik eiSos presents innovative components based on IoT solutions. The internal digitalization of processes drives the electronics specialist ahead from a distinctively service and customer-oriented perspective. The proprietary concept SMART5 puts digitalization into the hands of Würth Elektronik eiSos in the service of its strong customer focus. 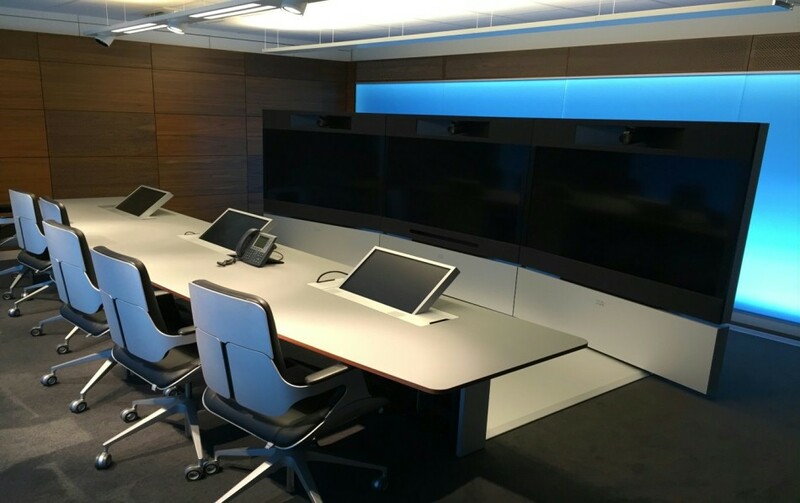 Under the motto ‘Smart Communication’, the electronics manufacturer has set up video conference rooms with high resolution cameras and screens at ten of its sites. Many customers turn to Würth Elektronik eiSos not only for certain components, but for solutions for special design challenges too – so the business calls for detailed individual discussions. At the same time, today Würth Elektronik eiSos is a globally operating company combining expertise and resources from around the world. That’s what makes communication so crucial. Under the motto ‘SMART Communication’, the electronics manufacturer has set up highly advanced video conference rooms with high resolution cameras and screens at ten of its sites. Additional cameras also provide the option of zooming to production or connecting with other image sources. This is currently being tested as a pilot project on one of the company’s automotive production lines. These smart real-time communication platforms serve for internal communication in keeping with a modern digitalized working world, on the one hand. Then customers can also be invited to discuss requirements with international teams from Würth Elektronik eiSos and develop solutions in close cooperation, on the other. Würth Elektronik eiSos has created maximum transparency across all its 19 production sites. At Würth Elektronik eiSos, the primary purpose of the SMART Factory is customer benefit. It is all about maximizing transparency across all 19 production sites. Only with a complete overview of all manufacturing processes and resources, can a company accurately assess its delivery capability and capacities. But there are also SMART5 initiatives that focus on automation. The ROSi project is the latest example for the efficient yet ergonomic production facilities developed in-house at the Thyrnau plant of the subsidiary Würth Elektronik iBE. At the leading manufacturer of customer-specific rod core chokes for the automobile industry, robots work hand-in-hand with the employees. In this pilot project, ROSi the robot loads and unloads small load carriers from the winding machine. ROSi’s human colleagues are physically relieved and have more time for other tasks that cannot be done by a robot – in line with the motto “work smarter, not harder”. All the relevant production data, such as number of units produced, quality rate and downtimes, are collected worldwide in a unified form. This transparency makes it easier for staff to quickly find solutions across all sites in case of bottlenecks. Using the Production Excellence Tool (PET) mobile app, many of these data and KPIs are available to the employees at any time and from anywhere depending on their role authorizations. The tool - currently for use in eight languages - thus serves as a common information platform linking headquarters in Waldenburg with the worldwide production sites, thus providing an efficient overview of the production process for the products required by the customer. The message to the customers: With modern techniques, we have our production firmly under control at all times. 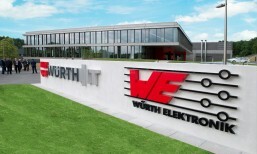 In order to securely process the enormous diversity and quantity of data transmitted from production and the offices, Würth Elektronik eiSos sets store by its own computer center. The Smart Data building block is closely related to this unified view of all production facilities. Würth Elektronik eiSos relies on its own computer center as a means of processing the enormous diversity and quantity of production data. 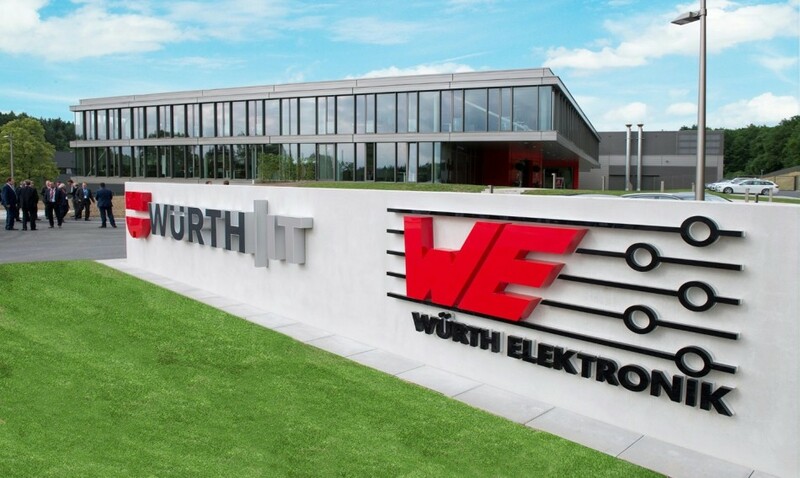 An ultra-modern, energy-efficient computer center with 1,000 m² of IT space for the whole Würth Group was opened in 2015 in Waldenzimmern. Together with the computer centers in Künzelsau-Gaisbach and Waldenburg, this forms the “Hohenloher Ring” back-up alliance, an independent fiber optic network set up in the Hohenlohe region, which can therefore justifiably be known as a “high speed ring”. This network enables fast data exchange worldwide and is an essential component for the company. With its own extremely powerful IT resources, Würth Elektronik eiSos is outstandingly well positioned in terms of data security and high availability. In the medium term, flexible solutions are to be realized here, which interact directly with the customer’s IT to optimize the flow of information and goods. Smart logistics is key for Würth Elektronik eiSos’ service leadership. Smart Delivery, the SMART5 building block, is key for Würth Elektronik eiSos’ service leadership. The manufacturer’s hallmarks and performance features include delivery of any number of components without a minimum order quantity and the dispatch of free samples within 24 to 48 hours. Both demand smart, extremely powerful and flexible logistics. With the opening of the highly automated logistics center in 2016, which also includes a “model factory”, Würth Elektronik eiSos laid the foundation for providing the best service, while expanding dynamically as a company. 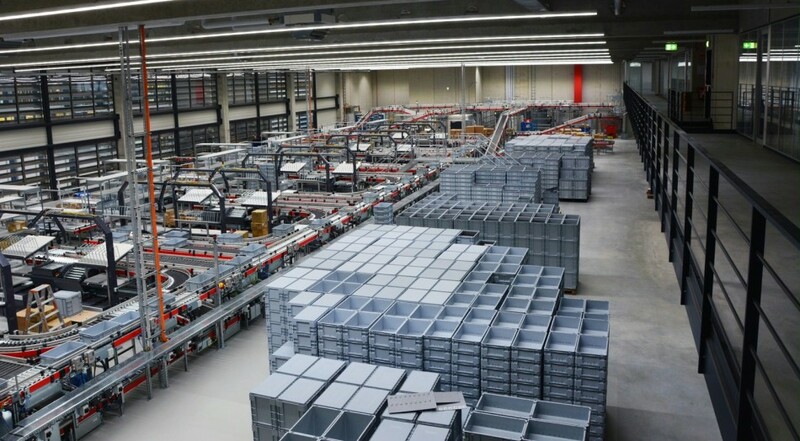 In Waldenburg in the federal state of Baden-Württemberg, 14,000 articles are now stocked and shipped globally, whereby the high degree of the center’s automation allows up to 4,000 picks per day. Here too, the current status is only a milestone on the path. Capacity is set to double again by 2020 through expansion projects. The centerpiece is a state-of-the-art small parts warehouse with a maximum of 140,000 rack storage locations from which a fully automated shuttle system picks containers. It can increase product withdrawal up to 10,000 processes per day as required. The products are stored in the warehouse management system, each with their dimensions, weight and volume. Employees not only have specific access on the packaging unit level, but order consignment can also efficiently manage many orders with partial and minimal quantities. Background: The majority of orders are smaller than a single packaging unit. Part of the new concept includes goods-to-person order picking and a pick & pack department. The logistics processes are controlled from an iPad. Würth Elektronik eiSos takes customer support far beyond that of any other supplier of electronic components. The fifth component of SMART5 is SMART Support. Würth Elektronik eiSos takes customer support far beyond that of any other supplier of electronic components. This starts with intelligent online tools for the selection of suitable components, such as the REDEXPERT simulation software. The software does not calculate component values, but is fed by real measurement data. The services also extend beyond technology consulting and free training courses, packaging and personalization of connectors, EMC consulting, reference designs, design kits with free refilling, through to individual design-in support. The more demanding and smarter the customer’s products become, the more the component supplier also has to be a partner to support the developer. 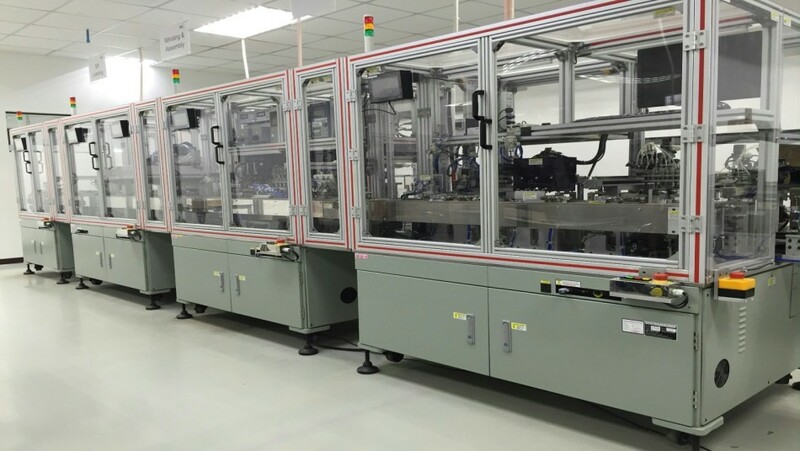 The goal: The manufacturer seeks to ensure that the electronic and electromechanical components are not only purchased, but also used in an optimal way. The resulting customer satisfaction promotes customer retention. For many products, customers therefore obtain not only data sheets, but also detailed lab measurement results on the behavior of a component or model data on virtual integration in a simulation. True to the motto “more than you expect”, with SMART5, Würth Elektronik eiSos aspires to over-fulfill customers’ expectation and puts digitalization in the service of this pronounced customer orientation. Do you want to find out more about our SMART5 concept?